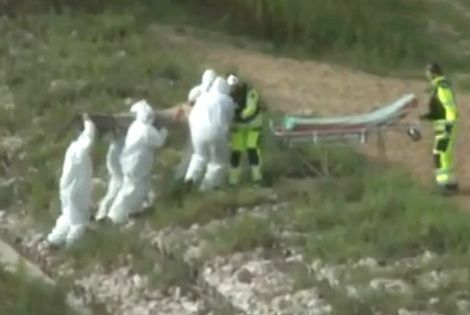 A video that surfaced a few days ago appears to show the moment a supposed 'merman' was pulled out from a river, put on a stretcher and taken away by mysterious officials. 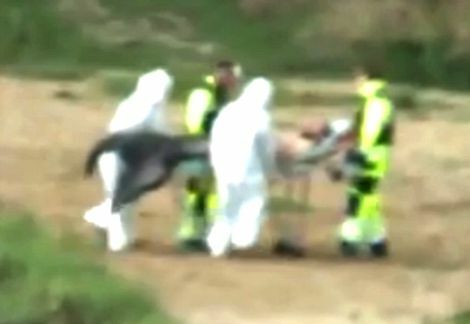 Captured in Poland, the short film shows a group of men in what look like white biohazard suits working with others dressed in attire similar to paramedics. Lasting two minutes, the footage begins with the men in white suits surrounding a mysterious body on the banks of a river. The men then lift the shape up at which point, what appears to be a large fish tail is clearly visible. At this point the men dressed as paramedics then move a stretcher into place while their biohazard suit-wearing colleagues bring the 'being' up to them. As they place the unknown shape on the stretcher, the 'merman' is clearly visible and lies down - his long beard resting on his chest.